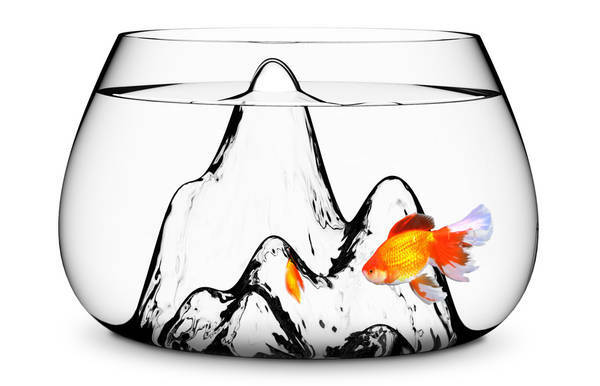 Taking care of your fish not only safeguards them as pets but an investment. It can be quite sad waking up to sick or otherwise dead fish in the aquarium. Your fish will need very special care and attention. This comes with ensuring that you take care of your aquarium. Fish are affected by the environment. Taking of fish is not as hard as you think. You however have to do it right. Tank care and maintenance will start right before you buy the tank. You need to have a good idea of the size of tank you want to buy. This will be determined by the number of fish you want to keep in the tank. The most common rule is the 1 inch of fish per gallon. This will guide you on the size of tank you want to have. It will also determine the type of filter and whether you will need water warmer. Keeping the fish alive is all about fish tank care. One of the major maintenance practices that you should carry out is cleaning. Just like any other animals, the fish need a clean environment to survive. Keeping a 10 to 15% water change on a regular based ensures that the water remains well balanced in terms of minerals and oxygen. Water changes will not only keep the fish healthy but keep the tank clean. Water that has not been changed on a regular basis will accumulate ammonia and algae at a higher rate than the fish can process. This causes the accumulation of dirt on the tank walls and eventually poisons the fish. Maintenance of the tank includes taking care of the equipment too. The more you check the equipment the more you will rest assured that your fish and tank are safe. It also ensures that your equipment lasts for as long as they should. The impeller assembly will need to be cleaned and checked on a regular basis. Make sure that you oil external water pumps often as instructed by the manufacturer. All the pumps and filters need to be checked at least once a day. The carbon filters need to be replaced as regularly as you can for better filtration. 3 to 5 weeks will do. The temperature of the water also needs to be checked to ensure that the fish are comfortable. All the light connections need to be right to avoid any shock or damage as often as you can. Checking for the tank for cracks and leaks weekly will ensure that your fish remain safe. The cracks and leaks will need to be repaired as fast as possible to avoid any major damage. An aquarium can be quite messy when it breaks. Fish are prone to disease. A well maintained aquarium will never be a hub of diseases. Most of the diseases will come from a poorly maintained aquarium. Any harmful environment is bound to affect animals at the end of the day. Clear water doesn’t means that the fish are okay. Nitrates and phosphates can accumulate to dangerous levels if not monitored. Fish will get sick due to stress and neglect. Some of the diseases that you need to look out for include anchor worms which can be detected by fish scratching against surfaces for comfort. This can be sorted by removing the worm and cleaning the wound with iodine. Bathing the fish in sea water for a few days will also help. Body flukes, lice and dropsy will have the same effects o the fish. Other diseases include ick, mouth rot, clamped fin and hemorrhagic septicemia. All the will make the fish uncomfortable and some lead to death. Treating the aquarium with a little salt or bating the fish in salty sea water helps in most cases. Cleaning the aquarium often will be the best remedy at the end of the day. Fish bowl is very different from fish tank as it doesn’t have filters to clean up the water. So the waste of your fish is in bowl so you need to clean up the bowl regularly. You should change the 50-100% daily. So that the quality of water always remain good and your fish remains healthy.